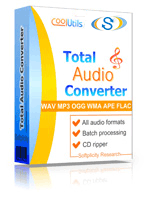 Convert RMVB to WMA audio files online and for free! Try the RMVB to WMA Online Converter or buy a batch App for more! Description RMVB is a variant of native RealMedia file type with variable bitrate compressed by MPEG-4 Part 10 encoding techniques. Standard RM format is used for coding video with stable bitrate for online streaming. RMVB subtype is mostly used for encoding files stored locally. It is highly popular file type for spreading Asian TV episodes, movies, etc. A lot of file sharing services use RMVB for storing media content. It is supported by RealPlayer SB, Media Player Classic, MPlayer, etc.